Transplant Care Management Longterm, Comprehensive, Preventive. Regulatory compliance is also about long term outcomes. Pre and post transplant management requires long term proactive monitoring and patient compliance. GridSense Health drives it. 80% of organ transplant care happens at home. By bringing patient’s home reported data directly to the transplant database, GridSense Health enables early detection and quick preventive actions. Transplant protocols are complex. An average case has many thousand data points with many ups and downs. Mentally processing all that data causes stress, errors and lapses. GridSense Health helps reduce it. One transplant center, a million decisions, a difficult balancing act to minimize risks and save lives! Good diagnosis comes out of years of expertise and insight. GridSense Health brings machine learning to improve decisions. Organ transplant patients need close monitoring and care for a lifetime. Transplant care is critical while the patient is waiting for an organ and then after getting the organ. GridSense Health is designed to deliver patient care over the long winding stream of events. It enables giving high standard of transplant care as it is comprehensive, preventive and participative. It is imperative that organ transplant care support patient participation. GridSense Health is designed for patient participation. Since 80% of patient care and follow up happens from home, it is important to prepare and engage a patient in managing care. Once listed, the transplant center give patients access to the patient app. Using which patients can record symptoms or upload reports to the transplant center database. Waiting lists are long and it may take a few months or even years to get an organ. It is important to deliver transplant care proactively. 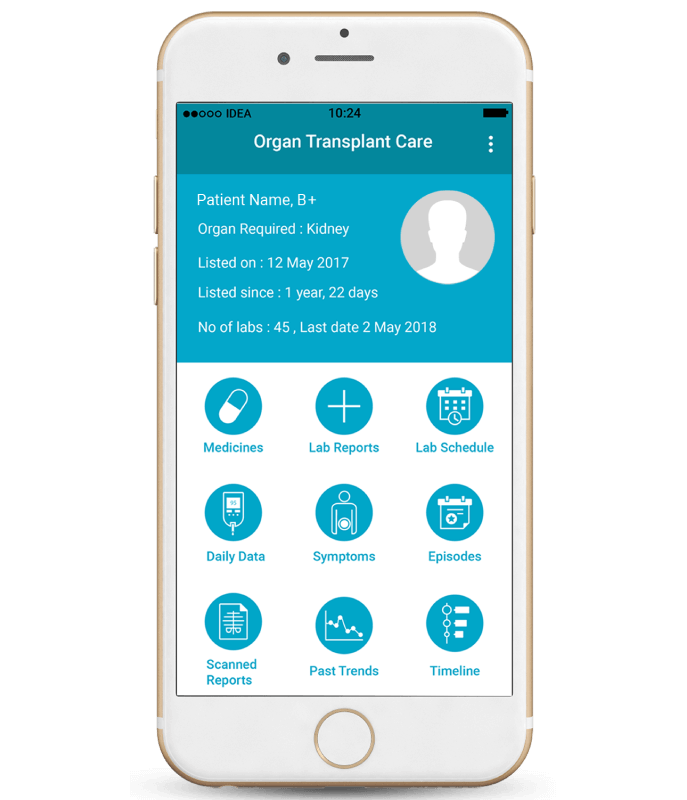 Using GridSense Health apps before as well as after the transplant, patients are securely connected with the transplant center.The transplant care app allows patients to report their symptoms to the care coordinators. Patients get reminders and alerts. Patients directly upload data. Transplant care providers get alerts if the patients condition is not as expected. They can now act quickly to prevent a crisis. Organ transplantation is governed by the UNOS and CMS guidelines. Compliance is not an administrative target any more. The Conditions for Participation directly depend on quality of transplant care not just based on the surgery outcomes. Compliance demands good wait list management and positive long term post-transplant survival outcomes. GridSense Health provides the right set of tools to improve transplant care and fulfill the Composite Pre-transplant Metric (CMP) and meet QAPIs. The process of evaluation for listing a patient for organ transplant is time consuming. The regulatory conditions are very stringent. Keeping track of the listed patients and ensuring that they remain fit until the organ is identified for them poses significant burden on the transplant centers. Using GridSense Health, now you can directly involve the wait listed patients in their care process to improve quality of transplant care. Educate them about the pre-transplant regime and give them tools to record their data. Create a secure way to get the data in transplant database. A transplant patient runs a life long risk of rejecting the transplanted organ. Hence needs lifelong transplant care. A transplant center prescribes a well defined regimen of lab tests and medicines to the patient. A transplant patient needs to be very particular in following the post transplant regimen. Missing a lab test or skipping medicines can be dangerous. 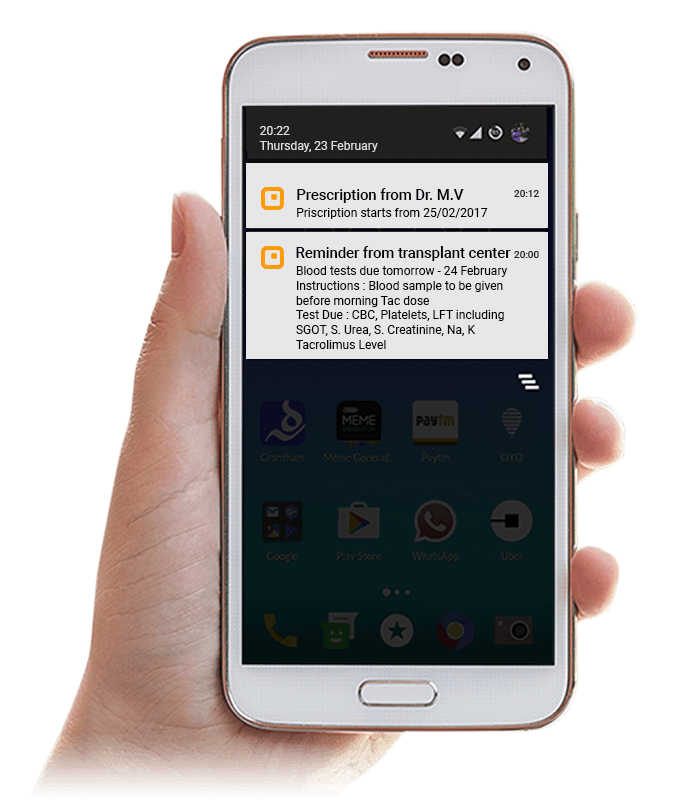 GridSense Health patient app sends reminders when a lab test is due or when the medication is changed by the transplant doctor. High standards of transplant care delivered without stress to the transplant team. Pre-transplant performance metrics take into account transplant care even to the wait listed patients. These are important for a transplant program as they define the conditions of participation (CoP). Once listed, it is important for a transplant center to stay in touch with the transplant patients, so that there are no surprises when the organ becomes available. 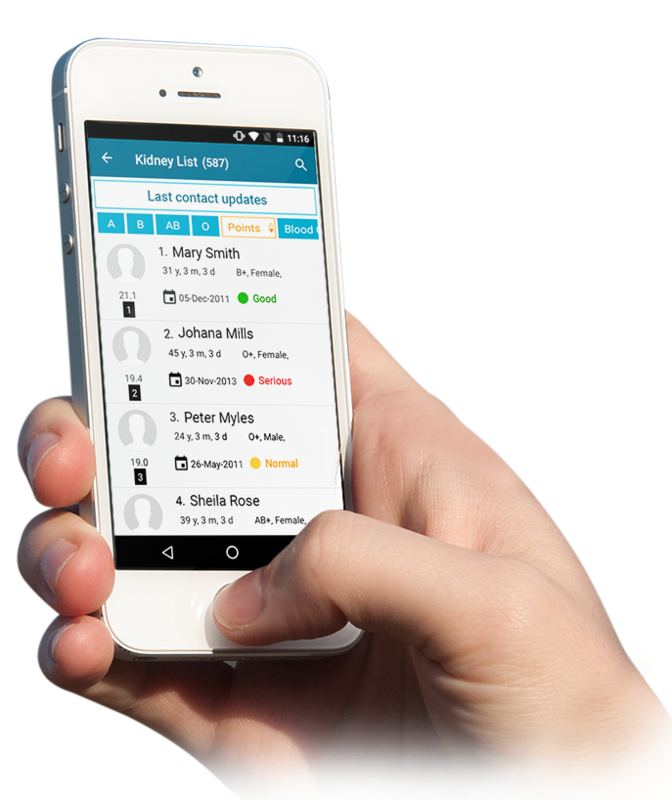 GridSense Health mobile apps are designed for the transplant staff to be able to access the data as well as and monitor the patients on the wait list. GridSense Health has evolved over the years, by researching the transplant care extensively. We have researched and validated the transplant protocols with some of the largest and best transplant programs in the world. 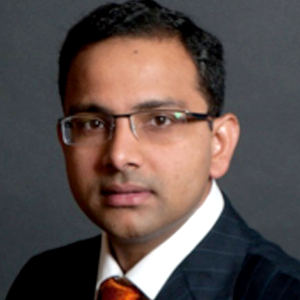 Dr Manish Varma is Assoc. 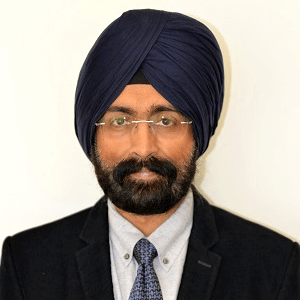 Professor & Head of the Liver Transplant and Hepatobiliary-pancreatic Unit at Apollo Hospitals Hyderabad. Our solution was piloted at the center. We had extensive interaction with Dr Varma and his team in validating the coverage of our data model, the methodology and our approach to creating a very innovative transplant care solution. The patients could post their lab results directly using the app. This helped improve post transplant care significantly and reduced the stress on the transplant center in manually keeping track of patient status. Organ transplant care platform designed to reduce the costs of long term care and complications.